Homes for Sale in Forest Lakes including Old Forest Lakes, Forest Lakes Country Club, Forest Lakes South and Village Green. Forest Lakes is a centrally located area of homes and condominiums east and west of Beneva Rd north of Bee Ridge Road and south of Bahia Vista Street. The only exception would be Forest Lakes South, which is just south of Bee Ridge. Initial construction started in 1955 in what known today as Old Forest Lakes and ended with Forest Lakes South in 1986. As locations go, you would have to give Forest Lakes a “10.” It’s ten minutes to downtown Sarasota, ten minutes to the interstate, ten minutes away from the number one rated beach in the US – Siesta Key Beach, and less than ten minutes to grocery, mall, and all kinds of shopping. You would think there would be nothing but street traffic being this close to everything. That is not the case. Each section has winding streets and are have idyllically planned home-sites that give you the sense you are tucked away from it all. Forest Lakes boasted a 18-hole golf course with a two story club house in 1964. During the boom of the mid 2000’s, development plans started for new homes to replace the course. Before any construction started (and do to the economy), plans were put on hold. Today the future is unknown. You can almost bet that what ever becomes of this site for new homes in the future, they will be mainstream, upscale, well thought out, and because of the location, should sell quickly. After all, when was the last time new homes were built this close in? Old Forest Lakes is where it began. Forest Lakes Unit 1 and 2 are what to look for on our listings. The street names will be East and West Forest Lake Dr and Pony Lane. The approximately 55 level home-sites are generally an acre with a few approaching just over two acres. Lot size and location is why Old Forest Lakes is still at the top of the pricing in all Forest Lakes. The subdivision is full of old towering oak trees and lush tropical plantings. Homes are set back off the roadways. While the oldest homes were built in the mid-1950’s, there have been recent additions as recent as 2008 and 2001. The architecture of the homes are generally spacious however, you will find the styles and finish vary widely. Where it is not practical to refurbish the old, some see building new as an exceptional choice. If you have a chance to drive through Old Forest Lakes, you would understand why we feel it is truly one of Sarasota’s Grand Neighborhoods. Forrest Lakes Country Club Estates consists of almost 400 deed-restricted homes located north of Webber Street and is primarily to the west of Beneva. There are also a few homes east of Beneva off Riviera Drive. These homes were built between the mid 1960’s through the late 1980’s and many took advantage of the former golf course views. The homes are generally concrete block and stucco construction with tile roofs. Home sizes are from under 1,500 square feet up to over 4,000 square feet. You will also find all homes to have a two-car garage. Annual fees are modest and optional. Forest Lakes South is the newest of the Forest Lakes subdivisions with 84 homes being constructed between 1980 and 1988. Home sizes range from 1,500 to 3,200 square feet and are concrete block construction. Lot sizes will ranch from 13-14,000 sq.ft. The schools serving Forest Lakes are Wilkinson Elementary, Brookside or Sarasota Middle, and Sarasota High. 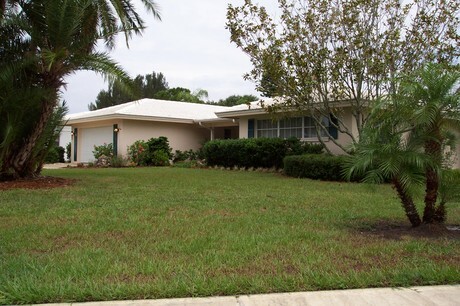 We have been selling Sarasota real estate for nearly two decades and are the local experts when it comes to Forest Lakes and the Sarasota Real Estate Market. We welcome the opportunity to work for you and find that special place you can call home. Enclave At Forest Lakes SubDv.